Worldwide supplier of luxury adventure products from hand crafted wooden hot tubs, barrel saunas, water sports equipment and other adventure activities for a happy, healthy, lifestyle. An offshoot of surfing that originated in Hawaii, used for fitness, healthy living, yoga, racing, fishing and other outdoor adventures. These boards fit nicely into a back pack and can be carried anywhere, once pumped up they can be used like a kayak or a surfboard making these boards one of the best versatile products going for watersports adventures! A fishhing paddle board is a new and better way to enjoy fishing. It offers much more stablity with three chambers to help you stand and balance without the risk of falling over into the water. These fishing boards are being touted as the most effective fishing tools, to bring a greater fun into fishing as well as keeping you healthy and strong. Feel free to browse our watersports category for more information on these amazing products. Coming soon !! Treasure hunting adventures! Looking for gold or other items just waiting to be found then these pieces of kit are the best selling on the market right now! People around the world are finding gold with the GPX 5000 and you could make your fortunes with them. Be prepared to dig deeper than ever before! With a Minelab Gold Detector you'll find the elusive gold nuggets that others are missing! An amateur prospector has found a 5.5kg nugget of gold worth £250,000 in the Australian outback. Minelab Gold Detectors are the first and only choice! Albert Lifestyle is a lifestyle brand for people who like living a healthy fresh mindset and like to relax after a life time of adventures or just a mini one now and then. 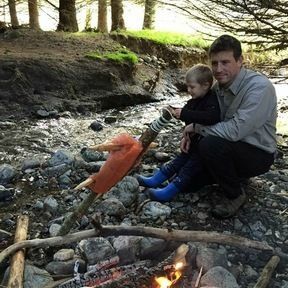 After joining the Royal Navy back in the 90s, travelling around the globe assisting with humanitarian aid to helping protect ships from pirate attacks in the Gulf of Aden, we now as a father and son team love going on mini adventures from camping in the garden to hill walking in the Cairngorms and many other outdoor activities. I have found as some of you know that chilling out in the hot tub with a few beers is a most enjoyable place (not condoning alcohol) we would like to share our adventures with you, our tips, tricks and things to do, not to mention having a sauna or two. As father and son we like to mentor each other in gentlemen's ways, building good characters and keeping them, kindly helping each other out. Talking of helping out we also have this amazing lady, wife and mother who actually runs a website https://beautiful-space.com We openly encourage learning in every aspect of life and discourage bullying of any kind! In general we hope you will enjoy this wonderful adventure we have set ourselves on and welcome you to share your experiences with us too! Albert Lifestyle = living with a healthy fresh mindset.